Pretty soon your Lyft driver may be picking you up in an Avis rental car. Avis Budget Group on Monday will announce a partnership with the ride-sharing service to let Lyft drivers reserve a car from Avis directly through the Lyft app. The joint venture marks the latest push by Avis to show investors and consumers that it can co-exist with services like Lyft, Uber and other ride-sharing companies. These services have grown increasingly popular as younger people decide it's not worth it to own cars. "Enabling Lyft drivers with ease of access furthers our vision of mobility on demand for customers who need a car for short-term or long-term travel and also those entrenched in the gig economy who need a vehicle to realize success in a shifting transportation landscape," said Arthur Orduna, chief innovation officer with Avis Budget Group, in a statement exclusively to CNNMoney. Shares of Avis Budget Group (CAR) are down nearly 20% this year, and its rival Hertz (HTZ) has plunged almost 30% so far in 2018. But Avis has already made some forays into the ride-sharing business. It bought Zipcar, the company that lets people rent cars for as little as one hour, in 2012. Zipcar has a program in Boston that lets Uber drivers rent cars on a short-term basis for a discounted rate. 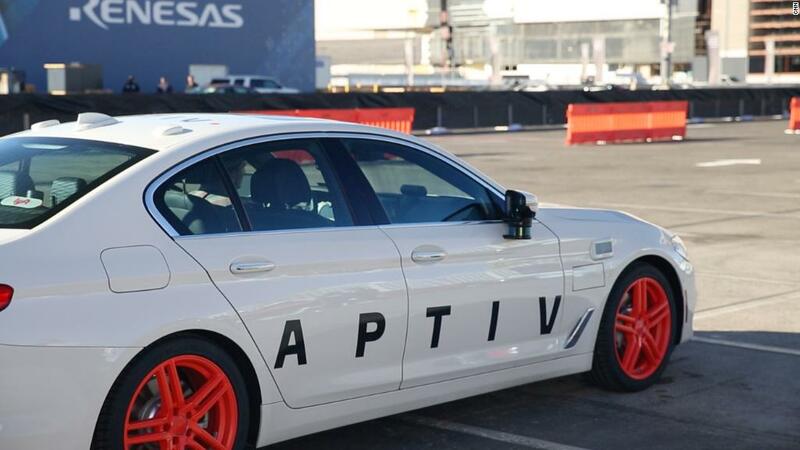 Avis also partnered with Waymo, the self-driving car subsidiary of Google owner Alphabet (GOOGL), to provide maintenance services for its fleet of vehicles in Phoenix. "We have been working hard on modernizing our business," Avis CEO Larry De Shon said in an interview with CNNMoney last month. The Avis-Lyft partnership is also the latest example of how Lyft, which has similar deals with Hertz and car subscription service Flexdrive through its Express Drive program, is looking to gain more ground on Uber, which has faced numerous PR crises and a revolving door in its executive suite. "Our partnership with Avis Budget Group allows us to provide new and existing drivers who are seeking a reliable source of income with more quality options when choosing a vehicle," said Jon McNeill, Lyft's chief operating officer, in a statement. Avis and Lyft said thousands of vehicles will be available for the program during the next few months in several cities across North America.